The famous image or icon of Our Lady is venerated by Catholics around the world and special prayers of intercession are said to her. 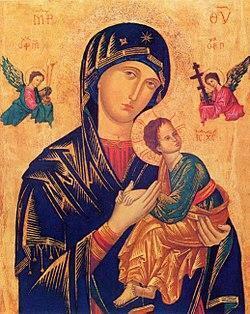 The feast day of the image is celebrated on June 27th. In Year Four, our class Saint is Mother Teresa of Calcutta. She was a Roman Catholic nun who devoted her life to serving the poor and destitute around the world. Her feast day is celebrated on September 5th.